The Wilson Team Blue is a 6 racket bag with 2 zipped compartments for the equipment and an external zipped pocket for the accessories. Easy transportation is provided by an upper carry handle and an adjustable shoulder strap. In addition, the bag is part of the Team Blue™ collection. 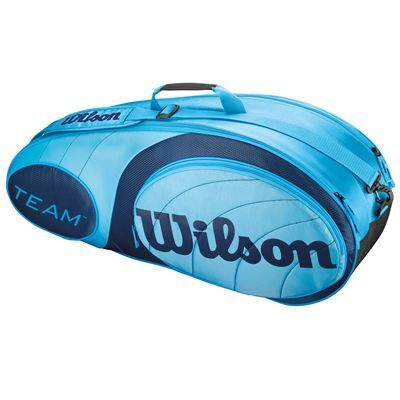 for submitting product review about Wilson Team Blue 6 Racket Bag.